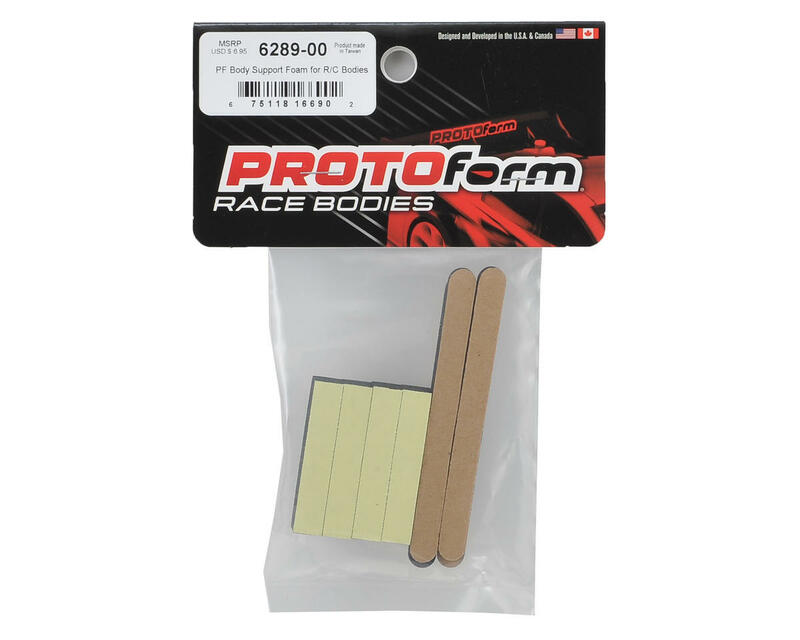 These Protoform R/C Body Support Foams are used to eliminate the gap between your car’s foam bumper and the inside of your race body. Keeping the front of your race body supported is extremely important for both increasing durability and keeping the aerodynamic integrity of the body intact. By using the Body Support Foam, you can eliminate the unwanted “play” that allows the body to flex downward upon impact, leading to cracked front fenders. It will also keep the nose supported under high speed aero loads. Each set comes with 4 “blocks” and 4 “strips” with super-sticky adhesive backs. The blocks are 9mm thick and are a quick solution to pad bodies in extremely forward mounting positions, as seen in 1/10 Touring Car, and also works great with bodies that have a long front overhang. The 2mm thick strips can be used to fine tune this gap in smaller increments and can be cut and stacked on one another. Racers can choose to add the foam directly into the inside of the body if experimenting with different body styles or mounting positions, or to the chassis bumper if using the same body & positioning repeatedly. 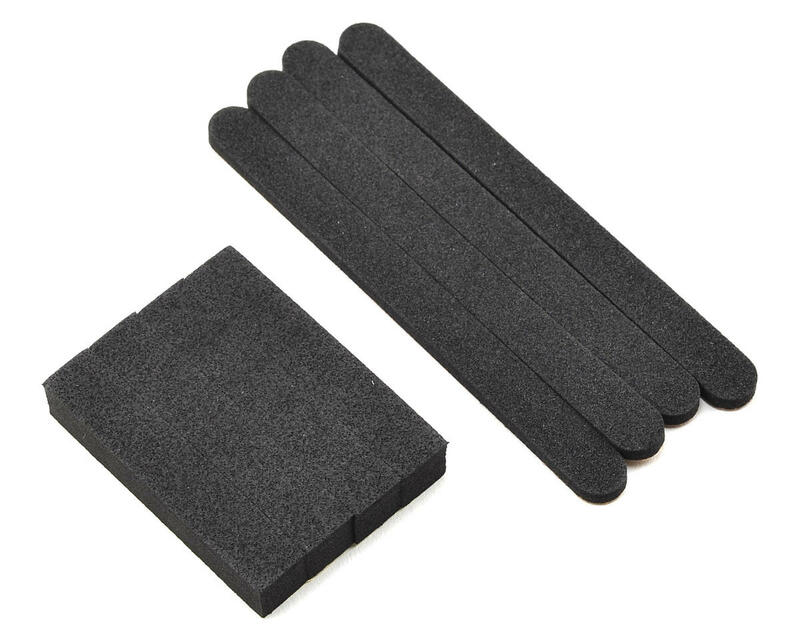 Combine these Body Support Foam with the Pro-Line Fender & Body Post PROtectors (PRM6290-01) for the ultimate body protection solution!